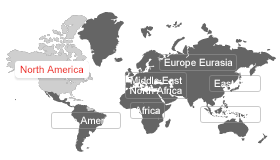 Special Olympics Unified Champion Schools is a comprehensive model implemented in the US that combines Unified Sports, Inclusive Youth Leadership and Whole School Engagement to create school and community climates of acceptance and inclusion. Learn more. Click here to see all Unified Champion Schools events! Students of all abilities have the power to positively impact their school communities by promoting social inclusion. 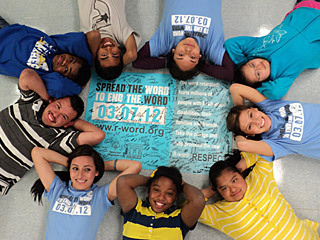 With tools such as Spread the Word to End the Word®, Get Into It, and Special Olympics College Clubs, youth are creating an educational environment where respect and acceptance are the norm and all students feel included and engaged. Want to make a difference during college? 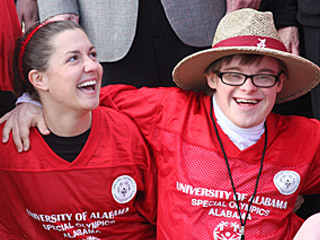 Join the thousands of college students across the world who are working to benefit Special Olympics. College students are creating a more accepting and inclusion community for all, and you can join them! Learn more about the ways you can get involved on campus! 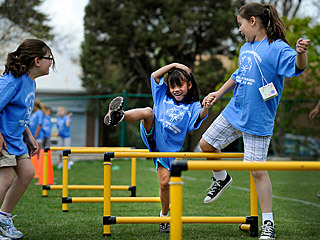 To learn more about Special Olympics Unified Champion Schools, visit our Resources Homepage where you'll find a collection of tools to assist students, teachers, and State Programs in promoting Unified Champion Schools in their schools and communities.